If you feel like you keep catching a cold every few weeks, it is certainly not normal. You should try to figure out why you are falling sick again and again. Is it just reduced immunity or bad habits or something else? 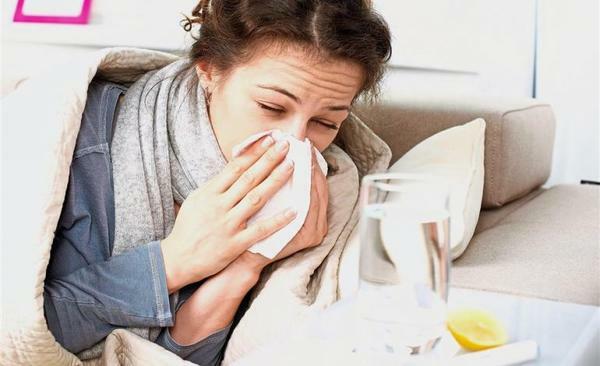 Here are 5 common reasons why people catch colds easily. 1. You don't wash hands as often as you should. For a healthy life, you should wash hands before and after meals, after using the washroom, before and after cooking/prepping food, after touching garbage, after touching anyone who is sick, after changing a baby's diaper etc. Everytime you are exposed to germs, wash hands! 2. You keep touching your face all the time. This is the easiest way to transfer germs to your nose and mouth. The microorganisms that cause cough, cold or flu eneter the body through mouth, nose or eyes. So keep hands away from your face. 3. You don't drink enough water. When your body is dehydrated, the immune system gets weakened and is unable to ward off sickness. 4. Not getting enough rest and sleep also weakens the immune system. When you sleep, the body repairs itself and fights attacks from diseases. But when your body does not get enough rest, you become sick. 5. The place where you work can also expose yourself to germs and disease. For example, if you work in a public building where lots of people keep coming and going, you are exposed to germs everywhere! Similarly, if you work at a daycare, even one sick child can make everyone inthe daycre sick. So always keep hand sanitizer with you at work and wash hands regularly even when at work.